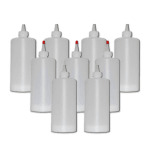 Prince Castle is your solution to commercial kitchen accessories and supplies like this squeeze bottle. Food preparation hosts a vast calling for all types of gadgets and these Prince Castle reusable squeeze dispensers are handy for a variety of applications. 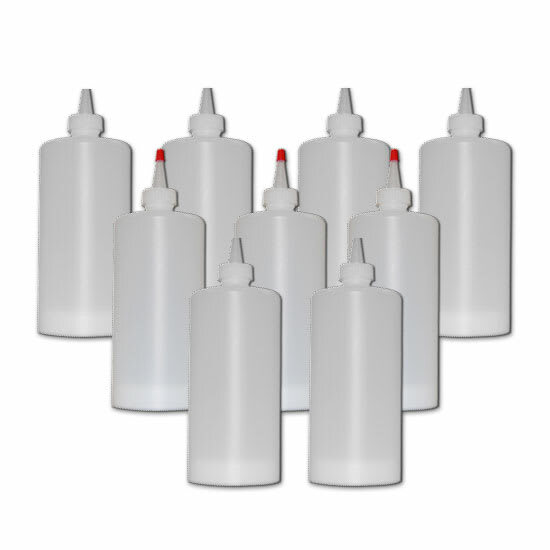 These squeeze bottles are perfect for sandwich and salad bars as well as plating desserts with tasty glazes! "Only issue i have is they don't send enough tips and there's nowhere to buy them! Lol"
"Bottles leak at bottom will not hold liquid as stated did not come with all bottle tops? Would not buy this product...."